Presented by Commercial Boiler Systems Inc. 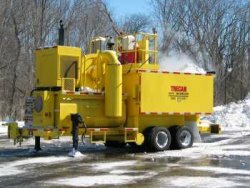 The Trecan 60-PD and 60-PG is the true work horse of the fleet, with a capacity of melting 60 tons of snow per hour. Its 12 million BTU / hr burner can melt 150 to 300 cubic yards of snow with an average snow density of 15 to 30 lbs per/ft. per hour. 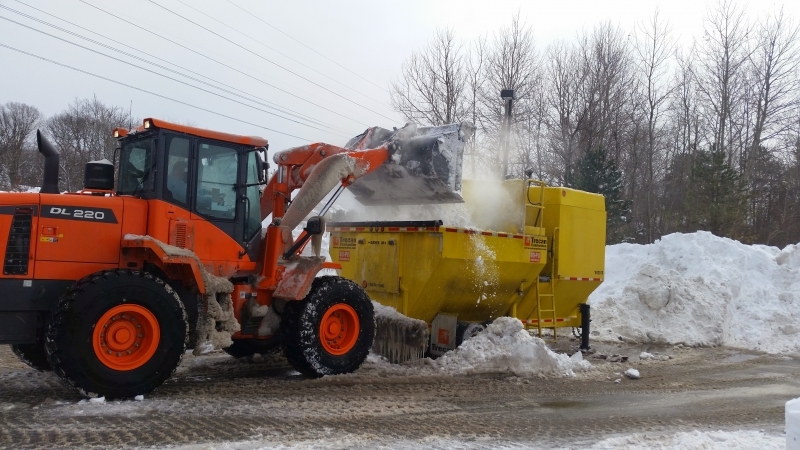 The model 60-PD (60-PG) is the choice of many cities, municipalities, large snow contractors, universities and shopping malls. The melting tank is available in a narrow 8â€™6â€ width or a standard 10â€™ width and it can be loaded and towed with a typical front end loader. The cities of New York and Moscow, Russia own many Trecan 60-PD and 60-PG Snowmelters.